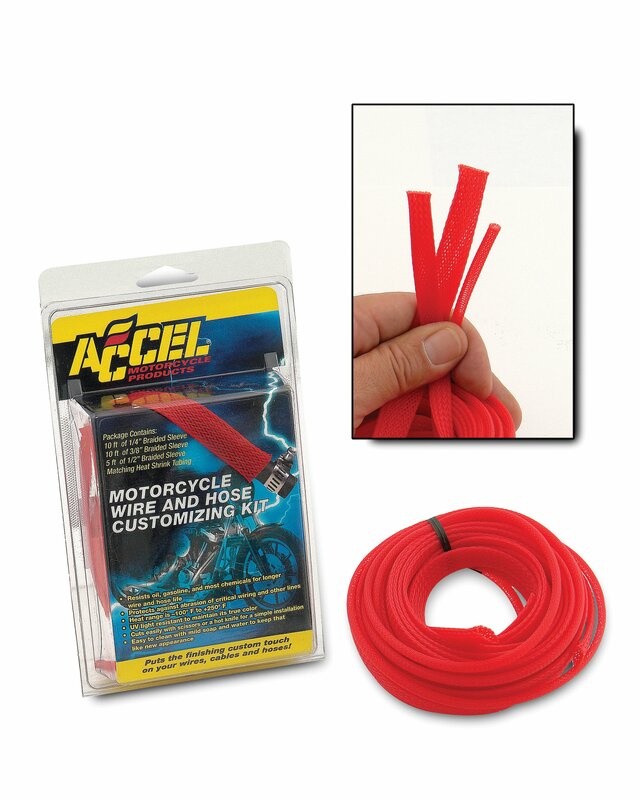 There is no better way to clean up a bunch of loose wires or to spruce up the look of those black control cables than to cover them in a great looking ACCEL Motorcycle wire sleeving. Available in many different colors, the sleeving is made of UV resistant premium material that resists oil, gasoline and most chemicals while also protecting against abrasion. Each kit includes 10' of 1/4" Sleeving, 10' of 3/8" Sleeving, 5' of 1/2" Sleeving along with heat shrink tubing for that professional looking job.